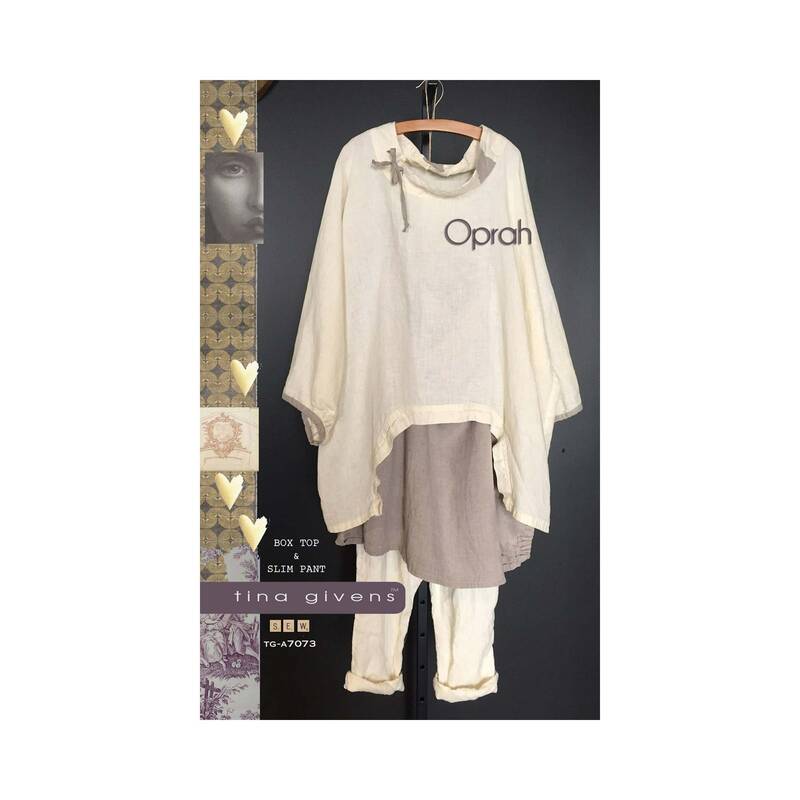 Oprah is a short crop top with a tie, coordinating trim detail and oversized sleeves. 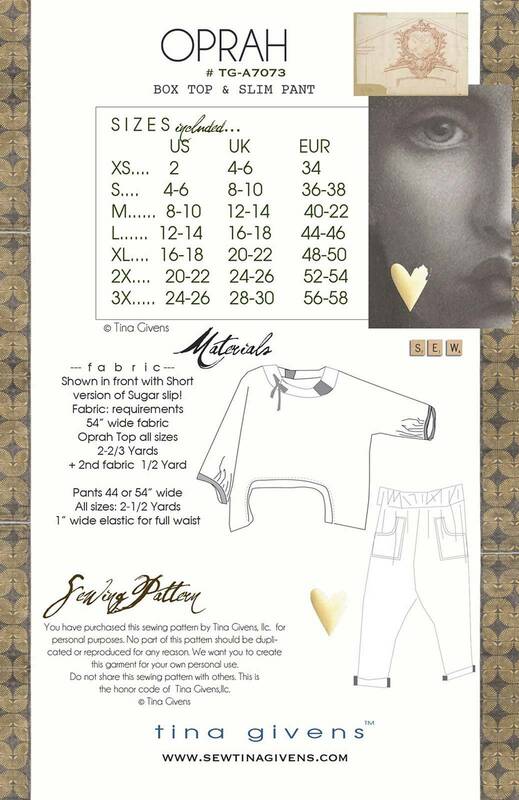 Pants are slim with elastic waist, pockets and drop crotch. Comfy and elegant! ** Shown in front with short version of Sugar Slip.